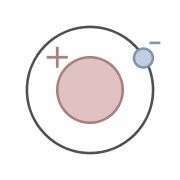 (PhysOrg.com) -- We like to think that we’ve got hydrogen, one of the most basic of elements, figured out. However, hydrogen can still surprise, especially once scientists start probing its properties on the most fundamental levels. "We ran simulations in order to provide a quantitative map of the molecular to atomic transition in liquid hydrogen," Isaac Tamblyn tells PhysOrg.com. "Some of what we found was surprising, and could change the basic equations of state used in models involving hydrogen." It could be phase transition followed by electride formation, analogous to sodium under high pressure. Anyway, without experiments it's easy to predict existence of such stuff without any calculations and nothing special is about it. The experiment is, what matters in physics. There exists a few interpretations about it. The hydrogen atoms adsorbed inside of cavities of Raney nickel could get compressed mutually, which decreases their energy levels. Another hypothesis is based on the assumption, near surface vacuum becomes slightly more dense due the presence of Casimir interaction - it's a low distance analogy of dark matter clouds, surrounding massive objects. Inside of more dense vacuum the energy levels of atoms could change, as all binding forces would become weaker there. IMO it could enable low energy nuclear reaction in similar way, like during Arata's experiments with deuterium adsorbed on palladium. Basically, it's an analogy of surface catalysis, which speed-ups many chemical reactions - just applied to nuclear scale: the strong binding energy of hydrogen to surface decreases activation energy required for cold fusion. Maybe both mechanisms are correct, maybe some others are involved here - but this research deserves attention definitely.